On Sunday, September 28th, the Council of Orthodox Christian Churches of Metropolitan Detroit (COCC) held its 4th Annual Benefit Concert, performed by the Orthodox Choir of Detroit, to benefit the IOCC’s aid to the suffering in the Middle East and North Africa. 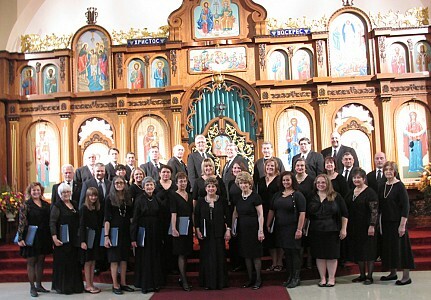 Approximately 35 singers, directed by Matushka Victoria Kopistiansky of Holy Trinity Church in Detroit, performed a variety of Orthodox liturgical music in English, before an enthusiastic audience of several hundred people. The free-will offering benefits the International Orthodox Christian Charities (IOCC) in its aid for the suffering people in the Middle East and North Africa. Mitered Archpriest Roman Star was specially honored at the concert for his 30 years of dedicated and visionary service to the Orthodox community of Metro-Detroit, through his leadership roles in the COCC and Clergy Brotherhood.